CryEngine is considered as one of the most powerful game engines available to developers. Its features include physically-based shading, geometry cache and an image-based light, high-speed text rendering, particles motion blurs and shadows, dynamic sounds, interactive music and others. These features make the games developed by this engine to be interesting for both the viewer and the player. 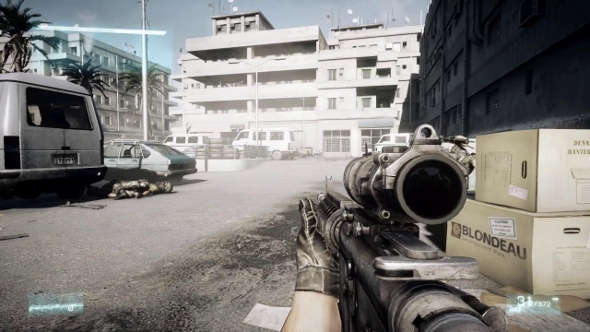 CryEngine has since been used in various game developments, namely Far Cry, Sniper and others. Secondly, Havoc Vision Engine is prominent and widely used due to its ability to display collision and create havoc in an immersive 3D environment. It excels in using Physics to create a more realistic gaming experience. Games like Bioshock and Skyrim have been developed from this physics-based movement. Thirdly, Frostbite is a gaming engine that was introduced into the gaming world, although it has much environmental destruction. It is often known for explosions, fires and detonations of all kinds. It makes the sound effect and feel to be lifelike, as such it makes gaming enjoyable. Frostbite has been used to develop Combat-heavy games a good example is the famous Medal of Honor. It allows the user to destroy whole buildings and large landscapes rather than a small wall. Accordingly it becomes interesting and enjoyable watching them burn down in glorious visual detail as though in real life. Forth, Unreal Engine is a complete suite of game development apparatus created by game developers for game users. It is characterized by physically-based rendering, UI, level building, great visual effects, physics networking and asset management. Some of the games supported by Unreal Engine may include X-COM enforcer, Unreal Tournament and others. Firth, Heroengine is a 3D game engine and serves as a technology platform developed for building MMO- style games. It has an online creation; the simulation and rendering processes of the engine are run on a single-thread. It can be used to develop games like Faxion Online and Star Wars. Content has been written by write my tech essay company.